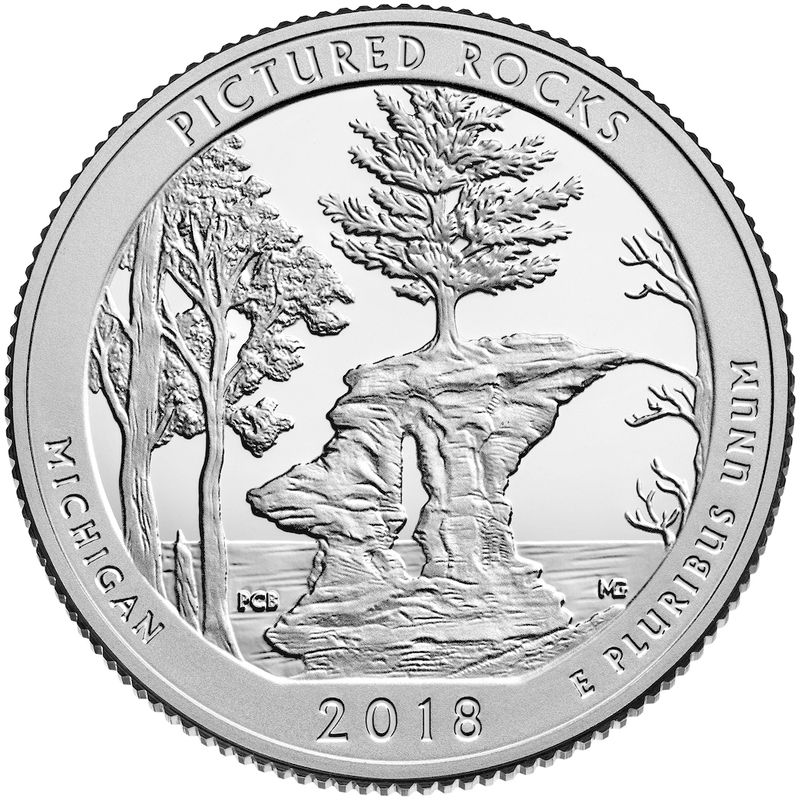 WASHINGTON – The United States Mint will offer bags and rolls of quarters honoring Pictured Rocks National Lakeshore in Michigan starting on February 5 at noon Eastern Time (ET). This is the first of five quarters that will be released this year and the 41st release in the America the Beautiful Quarters® Program. Orders will be accepted at www.catalog.usmint.gov and at 1-800-USA-MINT (872-6468). Hearing and speech-impaired customers with TTY equipment may order at 1-888-321-MINT. Information about shipping options is available at www.catalog.usmint.gov/customer-service/shipping.html.